Gianluca Vidal was born in Venice on July 1, 1976. 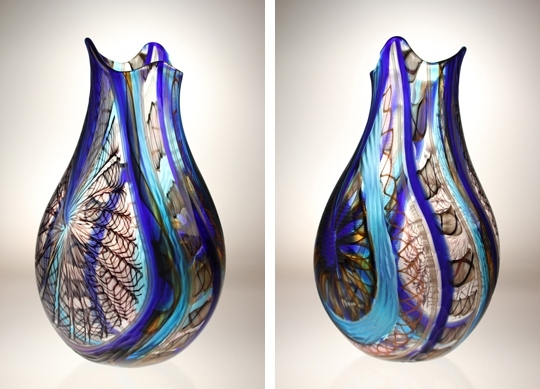 At the young age of 14 he started to work with glass at the Studio Vetreria DP, on the Island of Murano. Here he studied under the Glass Maestro Imperio Rossi. After two years he decided to move to the studio of Effetre International. 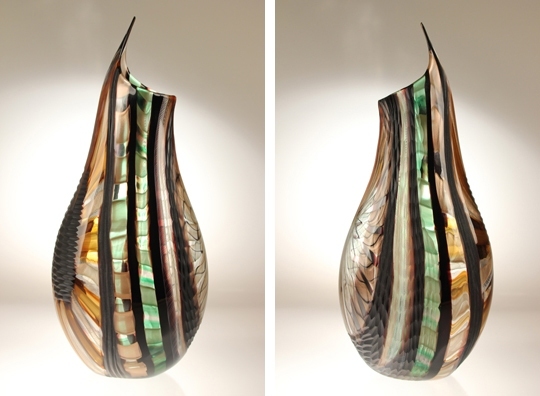 As the youngest glass worker in the studio and under the tutelage of the masters at Effetre, Gianluca began to learn the most difficult glass techniques and his talent as a glass maker began to emerge. 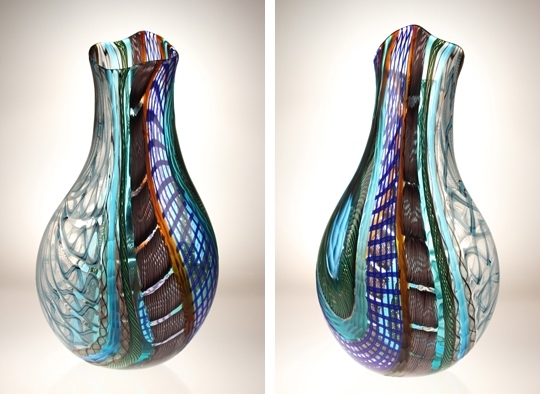 Gianluca has worked over the years with many of the most important Glass Maestros on Murano; men like Afro Celotto, Silvano Molin, Luciano Pavanello, Giancarlo Tagliapietra and Dino Vio. It is in this period that his colleagues give him the nickname “Crema”, due to his natural ability to gracefully shape glass as a “cream”. 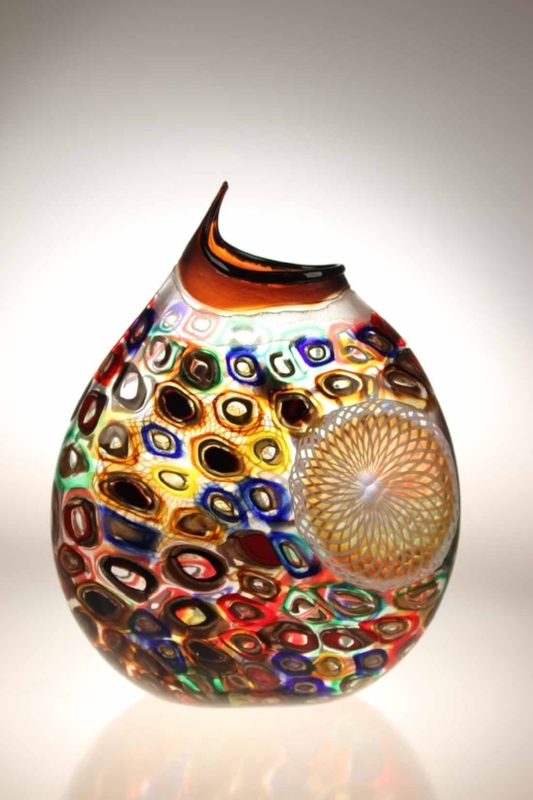 In 2000, while working at the Artistic Glass Factory Schiavon, he again has the opportunity to work with the great Maestro Afro Celotto, with whom he had also known at Effetre. One year later, after learning the techniques of filigrana, mosaics and tessere murrines, he decides to open a new studio with Afro Celotto and CarloTagliapietra. In 2009, when Afro Celotto left the studio, it gave Gianluca the chance to express his own talents and energy in his new collections.